Hasbro is officially purchasing the Power Rangers from Saban Entertainment. The deal also includes several other brands, including My Pet Monster, Popples, Julius Jr., Luna Petunia and Treehouse Detectives. But Power Rangers is by far the most valuable and eye-catching part of the deal, which is valued at $520 million. Brian Goldner, Hasbro's chairman and CEO, had this to say about the deal in a statement. "Power Rangers' is an iconic brand built on a heritage of great storytelling and merchandising with tremendous upside potential when fully executed across Hasbro's Brand Blueprint. Shortly after entering into our licensing arrangement, it became clear that now was the time to begin investing in unlocking 'Power Rangers' full potential. We see significant opportunity for 'Power Rangers' across our entire Brand Blueprint, including toys and games, consumer products, digital gaming and entertainment, as well as geographically throughout our global retail footprint. We couldn't be more pleased that Haim Saban will continue in a consulting role to further guide our development of this valuable property for the next generation of 'Power Rangers' fans." 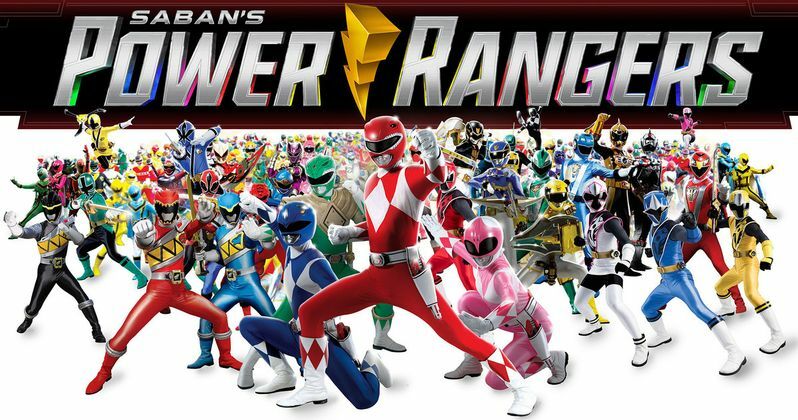 Disney had previously purchased the rights to Power Rangers in 2001, but they were purchased back by Saban in 2010. Power Rangers, among other things, is one of the longest-running children's shows ever worldwide, having amassed a total of more than 900 episodes since it first began in 1993. Hasbro previously had a licensing deal with Saban for Power Rangers, but now they will be entirely in control of the property moving forward. Haim Saban, as Golder states, will still be consulting on the brand moving forward. Here's what Saban had to say about the purchase. "25 years after launching 'Power Rangers,' I believe the future for this brand has never been greater. Hasbro's leadership in innovation, storytelling and brand stewardship make it the perfect company to further develop the global reach and appeal of the Power Rangers property. I look forward to working with Brian and the team in the years to come." There are a lot of moving parts with a deal like this, but pending regulatory approval, the deal is expected to close later this year. That surely means big things for Power Rangers moving forward. Hasbro recently expanded the scope of their deal with Paramount Pictures, who will now work together to not only produce more Transformers movies, but to develop other properties like M.A.S.K., Dungeons and Dragons and G.I.Joe. While no announcement has been made in regards to the movie side of things specifically, it seems highly likely that Paramount will develop a new series of Power Rangers movies with Hasbro after the deal closes. The most recent Power Rangers movie, released by Lionsgate and Saban last year, dramatically underperformed at the box office, bringing in just $142 million at the box office. It's unlikely that Paramount would do any sort of continuation with that cast moving forward, whenever they inevitably decide to start developing new movies based on the property. The $520 million purchase will be paid in a combination of stock and cash. The first set of products from Hasbro will be available in spring 2019. This news comes to us courtesy of Hasbro.